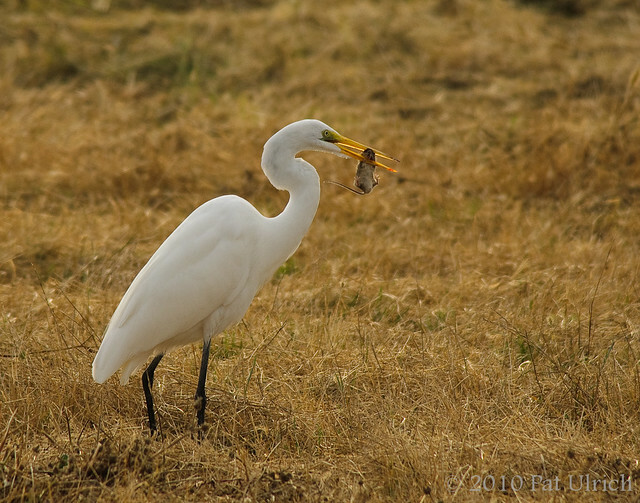 I have been reading for years that egret could eat little rodent. Those image are very special...great encouter you had! Great job capturing that scene. Nature will take it's course but it's hard not to feel bad for that little guy. Wow, I had no idea they eat small mammals. The last cropped image is tragic looking, but the images are timeless. Awesome captures! Thanks, everyone! 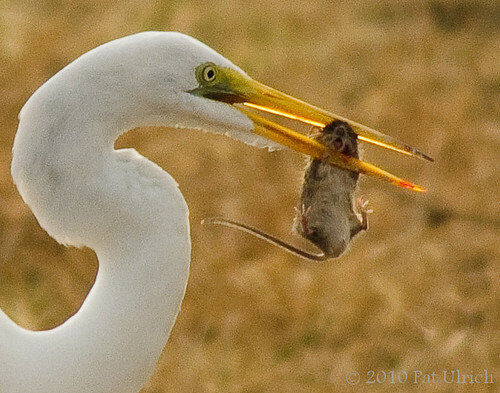 I used to think that waders like great blue herons and great egrets were purely consumers of aquatic prey as well. 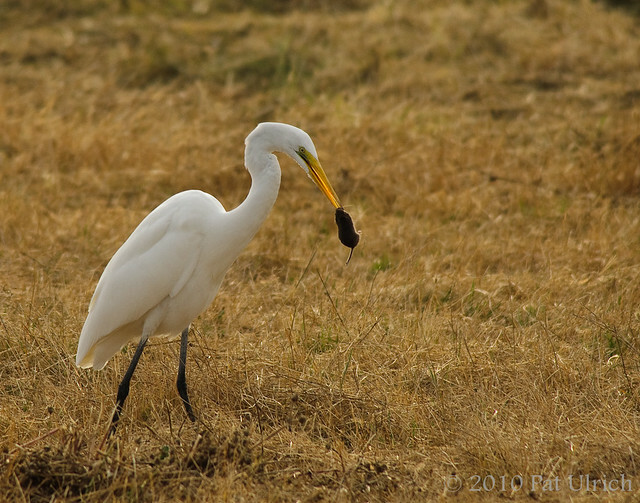 In California though, its just as common to see these birds stalking around the pastureland as it is to see them in the water!